This evening I finished the battery hold-down apparatus and began building a box to protect the batteries from weather. 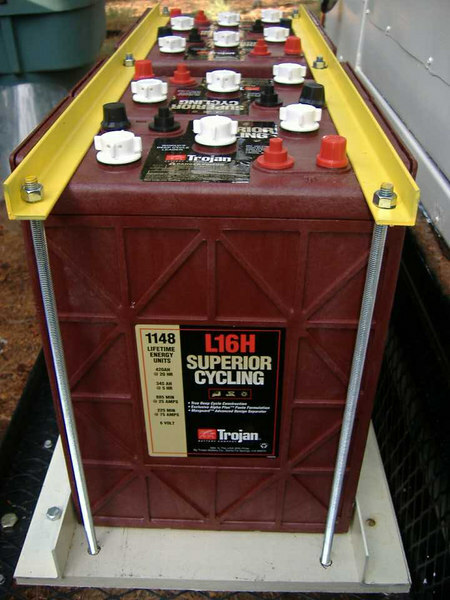 The batteries are secured much like a standard automotobile battery hold-down...only better! We coated two lengths of 1" angle iron with yellow Plasti-Dip spray, leaving a nice rubber coating to prevent them from becoming conductors. Then we drilled holes for 3/8" all-thread through the angle iron and the base. Thread-locking compound was applied to the ends of the all-thread before nuts are screwed on and snugged down. 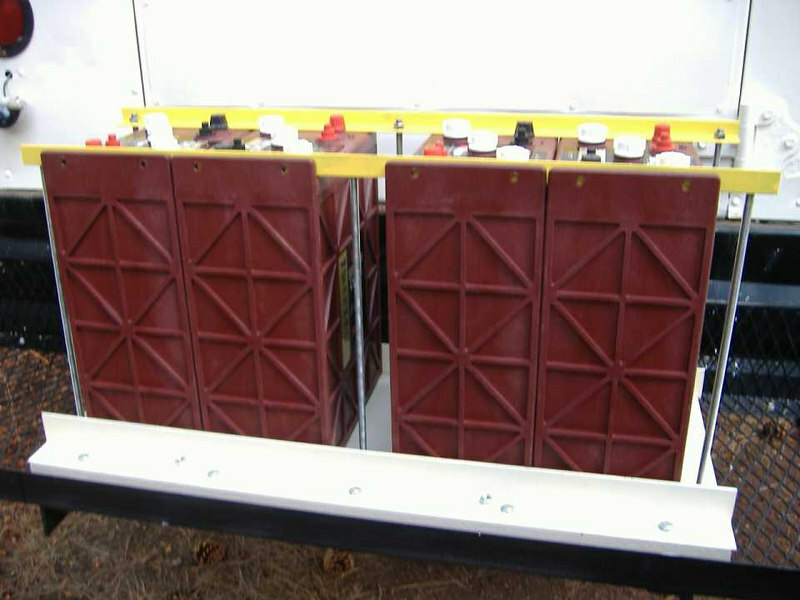 Another view of the battery securing system. As you can see there are two red (positive) terminals and two black (negative) terminals on each battery. The outer ones are automotive-style post terminals -- although it's difficult to see, there is a small ledge of plastic surrounding them. This will help keep the angle-iron from shifting. The inner terminals are simple threaded stud terminals, and come with a stainless nut of the appropriate size. We'll use these terminals for our wiring.